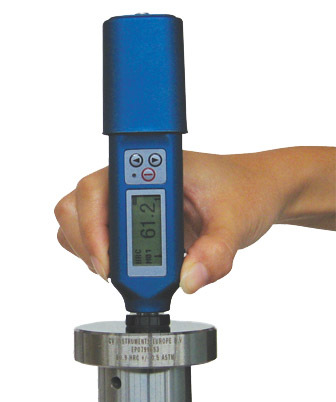 The completely new -entry level- DYNA TH-1100, part of the unbeatable series of TIME Leeb type dynamic hardness testers, offers a very affordable but accurate hardness testing solution for on-site testing in workshops and in field operation. The unit assures accurate and reliable measurement. Any metallic products with a minimum solid mass of 2 kg can be tested. The display shows hardness values in all common scales, such as HRC, HRA,HRB, HV, HB, HLD and HS. The instrument is equipped with chargeable batteries that provides 16 hours continuous operation.